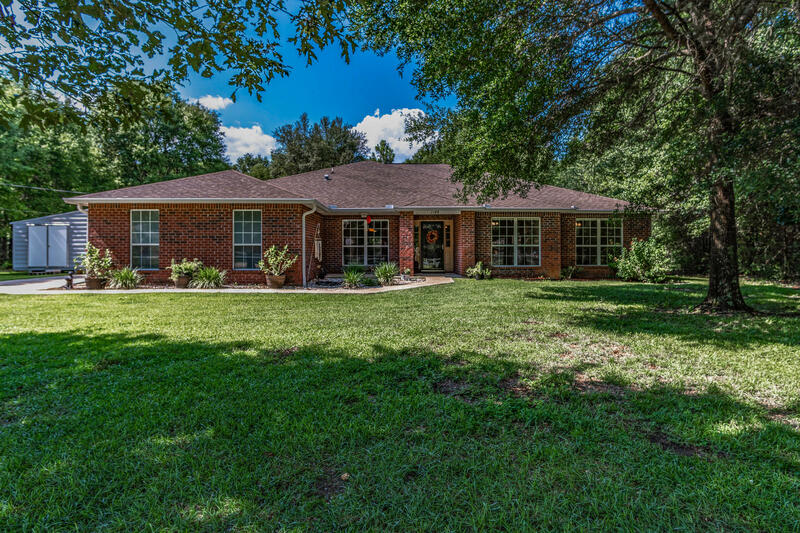 You will absolutely fall in love with this beautiful 4/2, 2577s/f, all brick home on a 0NE ACRE parcel. The very spacious (17.4 x 18.6) master suite features a large master bath with soaking tub, separate shower, two vanities and his and her walk-in closets. Sliding glass door leads out to the screened lanai, overlooking a very private back yard. The large eat-in kitchen has a bay window and an island. All appliances convey. In addition to the 4 bedrooms, there is a designated Den/Study and a large dining room. There are too many features to list. A floor plan is in the document section. Call today to see this one for yourself. Homeowner has also added a storage unit with a carport.